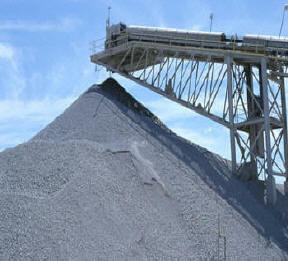 Valley View provides aggregate Products and Services and a fleet of semis for delivery of goods. Please contact our Home Office as to which locations provide the products above. Comments: Our aggregate materials are state inspected and approved, meeting QC/QA and freeze-thaw specifications. The Company operates a complete State approved laboratory on-site with our own State approved lab aggregate technicians. Our high calcium ag lime products are consistently the highest quality in the area. The Illinois Department of Agriculture annually conducts their Illinois Voluntary Limestone Program, and test results are made available to the public on their website https://www2.illinois.gov/sites/agr/About/Documents/Limestone/2018LimestoneBook.pdf or in their published booklet available each August. For your convenience, please Click here for the 2018 Results for both our milled (fine) and blended lime as well as an explanation of why Valley View ag lime provides the farmer with the best bargain for their ag lime dollar. For further testimonial please read the attached article from Farm Journal Magazine and the Agri-Briefs explaining the important role high quality ag lime has in raising a successful crop as well as our stone association IAAP website which includes a vast assortment of information pertaining to Ag Lime. We hope you find it useful. Other Services: Valley View operates a fleet of semis that provide dump truck and flatbed deliveries primarily in the State of Illinois, as well as throughout the Mid-West. Our late model fleet and experienced, courteous drivers have provided very professional and reliable service for many years. Our flatbeds are equipped with forklifts or booms for on-site unloading.